Acknowledged author American Society of Civil Engineers wrote Minimum Design Loads and Associated Criteria for Buildings and Other Structures comprising 800 pages back in 2017. Textbook and etextbook are published under ISBN 0784414246 and 9780784414248. 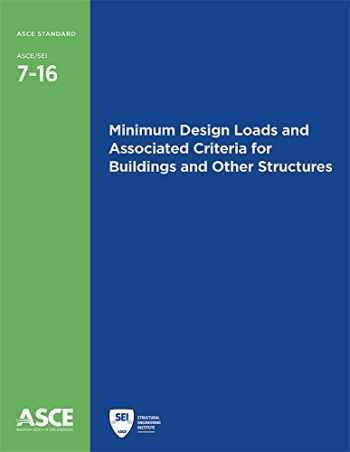 Since then Minimum Design Loads and Associated Criteria for Buildings and Other Structures textbook received total rating of 4 stars and was available to sell back to BooksRun online for the top buyback price of $86.20 or rent at the marketplace.